Larry Zanoff is the co-host of Hollywood Weapons: Fact or Fiction? on the Outdoor Channel, and has what many of us would consider a dream job, working in the Weapons Department of Independent Studio Services Props (ISS) , the largest rental armory in the film and Television industry, providing custom weapons manufacturing, actor training, on set armorer services, safety training, and more. Larry has been involved with firearms his entire life. A combat veteran of the Israeli army, Larry is P.O.S.T. Certified, holds a college degree in law enforcement and the administration of justice, and has worked in U.S. Law enforcement, as well as the privet security industry. 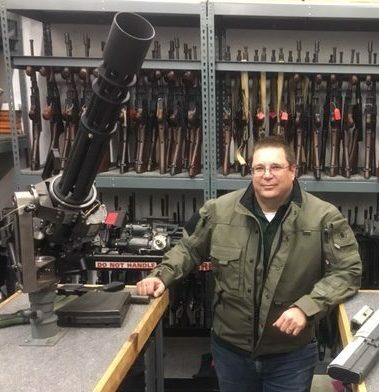 An additional college degree in gunsmithing and firearms technology led to Larry holding several positions in the firearms manufacturing industry. The above life experience has led Larry to a position at ISS. Larry continues to be active outside the entertainment industry as well, by providing weapons training to the military, and various government, and law enforcement agencies. Share the post "Larry Zanoff"
IMDb:Hollywood Weapons: Fact or Fiction?